List of data, research and insights companies and services specialised in Mail. Click to view detailed company profiles, get contact information and more. RED C is a premier provider of research-based consultancy services to both blue chip and up and coming businesses across Ireland, UK and Worldwide. We are a fresh, dynamic organisation whose work is rooted in sound statistical science, behavioural observation and listening to the consumer. SAMI, established in 1993, is part of MASMI Research Group, which specialises in ad hoc consumer and B2B research across the whole of Europe, Central Asia, the Caucasus and the Middle East. Made in Surveys offers a choice of facilities for hire across the UK and France. We also provide a range of additional services to help you. 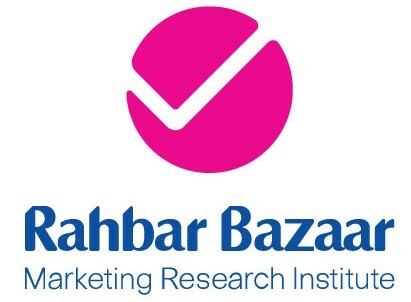 Rahbar Bazaar, began its activities to provide international level marketing research (Certified by ISO 20252) and consultancy services to different brands in Iran since 2003. S.A.M. Research & Consulting Inc.
OGM stands for Austria Society for Marketing Corporation. CSN Research Ltd. provides full market research services, ranging from consumer, industrial and social research. The research area includes media research, image research, satisfaction research, opinion polling, usage & attitude, product development, packaging, and pricing research. MASMI Belgrade, established in 2001, specialises in ad hoc consumer and B2B research across the whole Balkan region and beyond and provides its clients with intelligent, creative solutions & decision support . Strata specializes in concept testing, consumer profiling (behavior/purchasing habits), customer satisfaction tracking, and advertisement testing and tracking. Anova Research & Marketing Consultants Shanghai Co., Ltd.